Our Moorpark, CA truck accident personal injury & wrongful death lawyers provide expert legal advice to those who has suffered serious injuries in a truck accident. Truck accident, primarily due to the large size and weight of trucks, can be devastating! Besides truck accidents, we extend our assistance to victims in car, motorcycle, bus, bicycle, train and pedestrian accidents claims and all uninsured motorist (UM) and underinsured motorist (UIM) claims as well. We also provide very compassionate legal services to family members with wrongful death accident claims due to the death of a loved one who died in a fatal accident. Our accident lawyers handle each truck accident case tactfully and aim to procure maximum compensation for all damages incurred. So, if you are a victim of a truck accident, or need assistance with any another kind of personal injury claim in Moorpark, Ventura, Los Angeles or anywhere else in California, you should contact our expert, trusted and experienced truck accident injury & wrongful death accident lawyers for a completely FREE & CONFIDENTIAL CASE CONSULTATION. If you wish to know more about the personal injury claims process in truck accident claims or what should be done after a truck accident or collision, go to our Truck Accident Advice Page. For more information about your specific case simply call us now at 818-222-3400 or 1 866 INJURY 2 or click here to contact us. You may also learn more about our experience and credentials by visiting our homepage, lawyers’ profiles and our many testimonial pages. 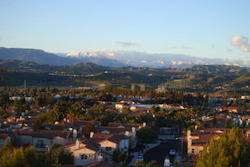 A city in Ventura County, Southern California, and located close to Calabasas where our main truck and car accident personal injury & wrongful death case law office is situated, beautiful Moorpark was founded on June 1, 1900 when the application for the Moorpark Post Office was granted. Late 1970s onward, the city has experienced tremendous growth. 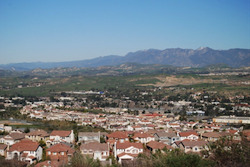 According to the 2013 U.S. Census, the total population recorded increased to 34,421. 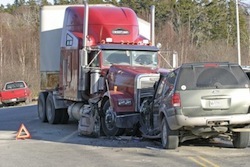 In a majority of truck accident cases, the reason is driver’s negligence. However, other factors involved may contribute to a serious injury, fracture or fatal truck accident. For instance, equipment or safety features may malfunction, creating locked brakes or malfunctioning horns. Severe weather conditions can make a big rig jackknife or overturn. Driver’s fatigue or poor training is a prominent cause of truck accidents. Truck driver failure to adhere to the strict guidelines regarding the amount of sleep truck drivers and truck operators should get before operating a heavy-duty vehicle is a known contributing factor to truck and car accident collision cases. An injured party may not be aware of such inattention and other causes of truck collisions and many other facts that can make their case stronger and more likely to succeed. Our experienced truck accident personal injury lawyers offer successful handling of your truck accident personal injury claims and wrongful death claims in Moorpark, California, so with all of the DMV and insurance rules and procedures please do not delay and please contact us now. It seems like almost every week we are consulted by someone with a wrongful death claim who waited too long and their claim is barred or prevented by the strict statute of limitations in California. So, please do not wait; please do not let that happen to your family and you. Please call us now – you will be very glad that you did! We have recovered more than $100,000,000.00 for our clients! For more, please see our home page and testimonial pages. We can assist you in protecting your rights and comply with required time deadlines, DMV rules and insurance policy procedures. Contact us now for a FREE and CONFIDENTIAL case consultation and/or evaluation. For our quick and easy way to contact us 24/7, please tell us all about your truck accident personal injury case or other injury accident by filling-out your case details in our contact us form. Our truck accident lawyers and legal experts will get back to you in no time. You can even send us your questions and information by sending us an email at info@WalchLaw.com. There also is no advance fee for truck accident and other personal injury accident cases – We work on a contingency fee which means there is NO fee until you WIN!! !